Premier LPG was set up to provide LPG to homes and businesses at cheap prices but with great service thrown in. We believe we have achieved that aim and are going from strength to strength in a competitive industry. The LPG we deliver is not only safe, clean burning and cost effective but is versatile enough to be able to be used in a wide variety of business uses. It is known for its use in fork lift trucks but can be used for heating and fuelling industrial processes. Liquefied Petroleum Gas (LPG)is a mix of propane and butane. It is produced from the oil refining and natural gas extraction process. The gaseous hydrocarbons that are a natural by-product of the production of methane and of the oil refining process would otherwise have to be burnt off and wasted. LPG is therefore effectively a recycled product that is a product of out need for natural gas and oil that we can use to fuel our homes and businesses. Ideally we would gain all our energy from natural sources like the sun, wind or waves but at present these resources are not efficient enough to provide for us 100% of the time. 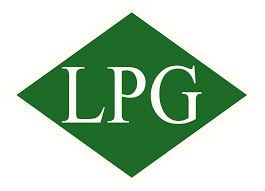 LPG is well placed to fill the gap as a renewable form of energy. It is stored in a variety of ways depending on where and how it will be used. Its versatility means it can be stored in a bulk storage vessel like a tank or if it needs to be more portable then it can easily be used from canisters of varying sizes. LPG is widely known in business to be a fuel of choice for fork lift trucks but it has many many other uses and can be used for any other use where gas could be used. So it can be used for heating of offices or large industrial buildings or for running large pieces of machinery. Many rural farms or rural industrial units can’t connect to the mains supply so they run off just LPG. In areas where zero contamination or low contamination is an issue LPG emits fewer pollutants in relation to diesel so can be the obvious choice. Also as it is fed from a sealed pressurised unit there are no evaporative gases and no spillage risk. All of this goes to reduce the carbon footprint of your business which is becoming more and more important in more environmentally focussed businesses as well as companies that are required by their shareholders or their increasingly green customer base to look at greener fuels. Why not talk to us about helping reduce your footprint, increase efficiency and about making your fuel supply more flexible. How do I transfer my LPG supply to Premier LPG? When should I request a gas delivery? How many litres will I have delivered?